Below you will find some important questions to ask the seller when buying a horse. I hate to say it, but there are people out there who will not be truthful with you about the horse. I’ve been burned a few times so I’m passionate about helping others when it comes to buying a horse. Being educated is one of the best defenses you have so ask lots of questions. Below are 5 questions to ask the seller, in part two I will share 5 more questions for you to ask. 1.) 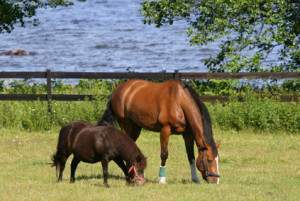 Why are they selling the horse – Always ask this question first it can save you time and money. You may find out that the horse has some health problems or maybe it’s the seller that has health problems, but it could also be for another reason like behavior issues. If the horse has health problems you will need to ask more questions as it could be something minor. If the horse has major health problems you would be better off passing on the horse and continue your search. 2.) When was the last time the horse was ridden? This question may tell you a lot about the horse. If the horse bucks or bolts that could be why they are wanting to sell the horse. Always make sure the owner rides the horse first. Never get on a horse that the owner will not ride no matter what they tell you. Keep in mind that not everyone is honest about why they are selling the horse. 3.) Any health problems? This is a very important question. Depending on the health problems this is one thing that could cost you a lot of money to get the horse healthy again. There are some things that you can have fixed easily and others will be a concern for the rest of the horses life. As an example if the horse has foundered or colic’s on a regular basis this could be a health problem that could cost you a lot of money down the road. What ever the health problem is make sure you check with an expert on horses or a veterinarian before you buy the horse. 4.) Does the horse load easily in any horse trailer? You want to ask the question like I’ve stated it because I’ve found some horses will go into a stock trailer but not a 2 horse trailer. If you only ask them if they load easily you may get the answer “yes” and find out after you buy the horse that they won’t load into a 2 horse trailer. If they don’t load at all this could turn out to be a huge problem. I’ve seen horses and handlers get seriously hurt in the process of trying to get them into the trailer. 5.) Any bad habits? If you just ask the question any bad habits you may not find out everything you need to know. Be specific when asking this question. Ask if they have any problems with bucking, bolting, kicking, biting, pulling back, hard to catch, or cribbing. You may find out that the horse has one of these problems and depending on your skills with horses you may be OK with the problem. If the horse has any of these problems you may want to pass on buying the horse and continue your search. See 5 more questions you should ask the seller in Part 2. Thanks for this advice for buying a horse. I actually didn’t know it could be good to ask when the horse was last ridden. Maybe you can ask how often they ride the horse to get a better idea of what the horse is like. Yes, that’s a good idea, Taylor! It’s sad when people get a horse home and find out he’s not right for what they need. I see it a lot (sadly many people don’t seek out help until after they’re new owners). You pose some great questions to ask here, Kim. Your point about health problems is a biggie. Asking for vet records (most sellers with nothing to hide will provide these) can tell you a lot. Not only about possible problems, but also (read between the lines) the owner’s maintenance behavior. Thanks for covering this issue, Kim. Yes it is sad when people find out the horse is not a right fit for them. When this happens it’s usually the horse that gets the raw end of the deal. Thanks Nanette for taking the time to leave a comment.